Lyn Horner describes herself as "A Yankee who got to Texas as quick as she could." Lyn Horner resides in Fort Worth -- "Where the West Begins" -- with her husband and several beloved cats. A former fashion illustrator and art instructor, she is the author of the award-winning Texas Devlins Trilogy, starring three siblings who bring a glimmer of psychic magic to the Old West. 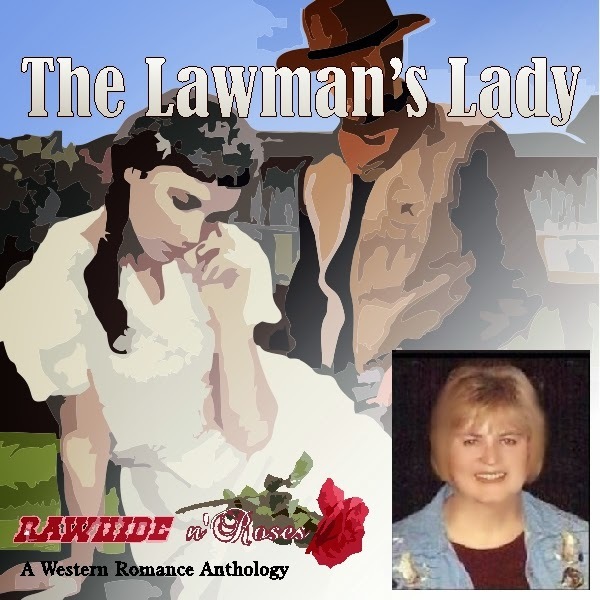 My story was inspired by a challenge presented on a discussion titled Western Romance Authors Please Post Here on Amazon’s Meet Our Authors Forum. Maggie O’Hayes, the host and best reader an author could ask for, challenged us to write a snippet of fiction using a few words she chose. Those words inspired me to write about a lawman and a spinster schoolmarm in a small Colorado town. Oh my, I could fill a book with all those bumps and potholes. There was my initial fear of admitting I wanted to write romance, a secret I kept from family and friends for along time. Then came years of submitting proposals and getting rejections. Even after honing my craft, scoring high in contests and receiving praise from judges, no sale. My worst disappointment came in 2009. I made it to the finals of the Orange Rose Contest in the fall of ’08 and received terrific comments from one editor. She couldn’t make an offer for my book because her publishing house had just contracted for a series with a similar setting, but she asked to see more of my work. Excited, I sent her a proposal for Darlin’ Irish (Texas Devlins book one) and lived on pins and needles for four months until she got back to me – with another rejection. This was such a letdown that I gave up writing for over a year. It took some gentle prodding by a good friend to convince me to try self-publishing on Amazon. Can I tell you about two? My actual latest release is Texas Devlins 4 Book Bundle. Kind of self-explanatory, it’s a combo of the trilogy plus a prequel novella, at a bargain price. 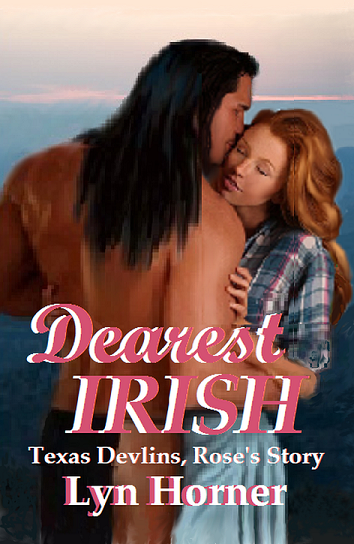 My latest novel is Dearest Irish (Texas Devlins book III) and it’s my current pride and joy. Set in1876, this cross genre romance stars Rose Devlin, the youngest of three psychic siblings. 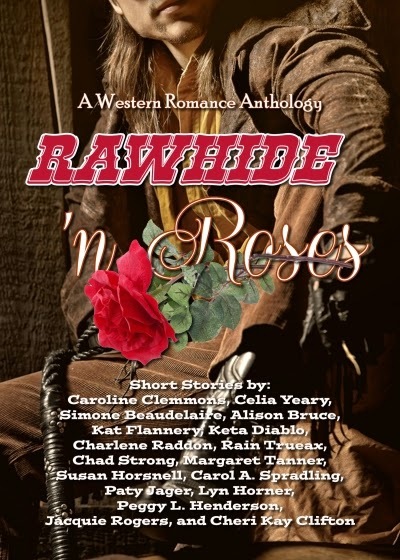 Able to heal with her mind, Rose inadvertently reveals her secret power to Choctaw Jack, a half-breed cowboy who both fascinates and frightens her. Jack straddles two worlds, dividing his loyalties between his mother’s people and the family of a friend who died in the Civil War. Like Rose, he keeps secrets, ones that could cost him his job, even his life. Yet, he will risk everything to save his dying mother, even if it means kidnapping Rose. I’m happy to say Dearest Irish has received an award from the Paranormal Romance Guild and a Reader’s Choice Award nomination from Books and Pals, an online review site dedicated to indie authors. Am I tickled? You better believe it. Dearest Irish is available in paperback, Kindle and Nook. Hi, Lyn--we all could write one of those books about our rejections and heartbreaks, can't we? Probably, we be complacent and boring if everything was handed to us. Rejections and criticisms only spur on some people--like me--I said, "How dare them!" Like you, I'm glad to be where I am today. I remember your story in RnR, but not the details. Every time one of the authors blog about the anthology, I pull up the pdf and find that person's story and read it again. I do love the anthology--and I still think the cover is very special. Good luck, and I'll be seeing you around. Celia, we sure could write that book. Maybe another anthology, hmm? Kidding! Don't want to write about such a boring subject. I love the anthology too, and every story in it. It's pure pleasure to be in such good company. Thanks for your encouragement. Don't feel alone in the rejection line; there are many of us standing in line with you...maybe most of us. I'm so glad you didn't give up and got back in the saddle. Early on, I had a super critical instructor in a creative writing class I took in college who sucked the joy of writing right out of me. It took some years before I felt confident enough to write again. See. Many of us share that kind of let down. I so enjoyed reading your interview, Lyn. Sarah, you're so right. We authors have to develop a thick skin. It's the only way to survive in the face of criticism and rejection. An no, we're not alone. Many big name authors have gone through the same ups and downs. It comes with the territory. Thanks for stopping by and sharing your experience. I never gave up writing, but I gave up trying to get published for a couple of decades. It was my sister getting cancer that smartened me up. Life's too short not to at least try to achieve your dreams. You have my sincere sympathy, Alison. That's a rough way to learn a valuable lesson. I'm sure your sister is smiling down on you and cheering you on. Oh, yeah, everyone's tale of rejections is mine as well. Got "the call" myself from Avon telling me they really liked my query and first three chapters and to send the full manuscript for their editors to review. Then after months of hope, was let down with the rejection. Like others, loved writing too much and believed I had as good a story as so many romances on the shelves, I hung in there. And so glad I did, or I wouldn't have met all you wonderful authors who I now call my very special friends. Cheri, your story echoes mine and many others. Like you, I'm glad I hung in and didn't give up, or I wouldn't have met you and all the talented authors in the R&R gang.